Nanowires on vanadium oxide. 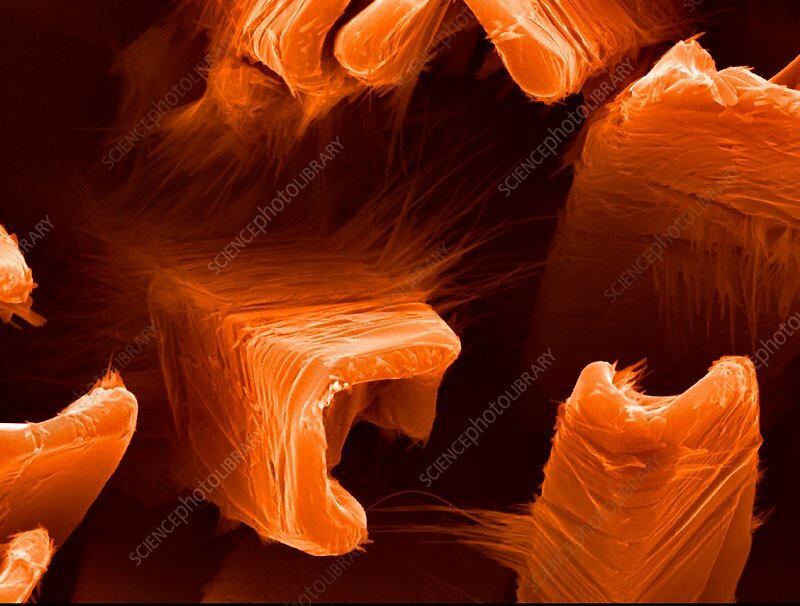 Coloured scanning electron micrograph (SEM) of nanowires formed on a vanadium oxide surface that was turned molten by heating it with a laser beam. This research involves the use of lasers to etch and ablate metal and semiconductor surfaces. The resulting nanostructures can have applications in various forms of electronics and nanotechnology.